I told you I was going to force a veggie pick this week. Carrots are the Dude's favorite. Dude: "What's that green stuff on top?" Me: "The stem. You use that to pull it out of the ground." Dude: "Why are they pointy?" 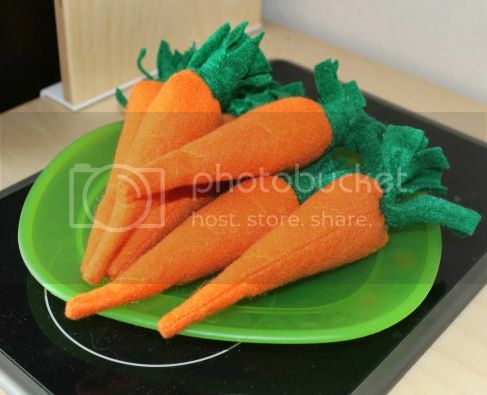 Me: "Seriously, have you never seen a real carrot before?" 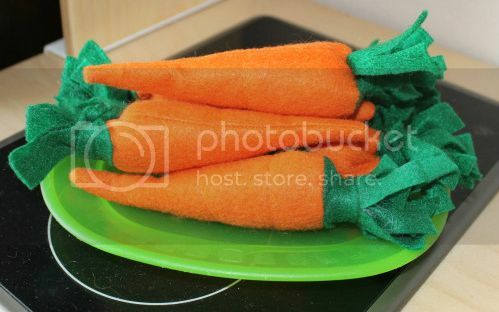 Baby carrots are the same price as regular carrots here, so I go for the convenience of pre-cleaned and peeled. 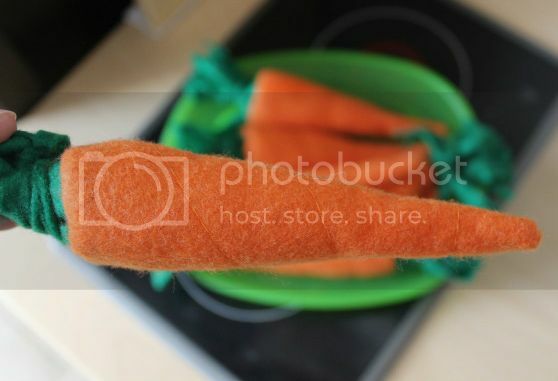 So, yeah....he's hasn't seen a real carrot in a while. Oops. I added lines to make it more carrot-y, but they're a bit too subtle in the same color thread. And now the Dude is walking around doing his best Bugs Bunny impression. Which isn't that great, since he didn't get his two front teeth for Christmas.